The 'Consumption posting' indicator and the account grouping code for the automatic account determination are read from table T163K for the account assignment category from the purchase order. The consumption posting is empty for goods receipts that are not assigned. The value from T163K is not always used for goods issues. During goods issues with movement type 601, the 'Consumption posting' indicator originates from the delivery. You can maintain the table with transaction OME9. This table must contain an entry for the following key fields, because otherwise error message M7001 'Entry & & & not in table T156S (system error)' is displayed. The movement type is entered in the goods receipt transactions. The value update is stored in the detail screen for the material type, transaction OMS2. The quantity update is stored in the detail screen for the material type, transaction OMS2. The special stock indicator is entered in the goods receipt transaction. The movement indicator is derived from the transaction. Consumption posting indicator for stock transfer. The consumption posting is selected from T163K. For this key, important economical data such as value string and quantity string is read from T156S during a goods movement. If a value string is maintained for an entry for a material with value update, this must not be deleted because otherwise inconsistencies may occur. If you add an entry in T156S, you must also maintain T156X. T156X has the same key fields as T156S plus value string plus numerator. The account grouping code for every entry is stored here. It is used in the automatic account determination. The respective transaction/event keys (GBB, WRX) for the value string are maintained here. For these transaction/event keys, you must store a G/L account for the automatic account determination considering the valuation grouping code and the account grouping code (from T163K and T156X). .- We expect an invoice to arrive, so we post to the key WRX for the GR/IR clearing account. .- We increase the value of our stock, so we post to the key BSX for the stock account. In the table T156 for the Movement Type you are posting (101 in this case) you have the Posting String Reference (T156-BUSTR, in this case it is also 101). If you are posting into the special stock. If value update and quantity update are made (see the material type for the material in the table MARA and then check OMS2 for the Plant). If you post with reference to a document (purchase order, etc). If you post with reference to a special procedure (stock transport order, for example). You locate the Value String T156SY-BUSTW. For example, WE01. The program coding reads this table, and determine all these possible posting keys. Then it goes into the valuation program and tries to determine a value for all of them. Those keys which finally get a value of zero (for example, if BSX and WRX match, no price differences are generated, so PRD gets a value of zero) are not posted, and not included in the final accounting document. the chart of accounts (KONTENPLAN), the posting key (VORGANGSSCHLUESSEL), the valuation grouping code (BEWERTUNG_MODIF), the account modifier (KONTO_MODIF) and the valuation class in the material master (BEWERTUNGSKLASSE). This table T030 is customized in OBYC. 1) You are posting in a Plant. The Plant is assigned in OX18 to a Company Code. The Company Code is assigned in OB62 to a Chart of Accounts. You take here the Chart of Accounts for your Company Code. You define whether you want your Plants to be grouped together or treated individually. Then, in the next customizing step to "Group Together Valuation Areas", you can see to which group you have assigned the Plant. This is the Valuation Grouping Code. 3) The Valuation class is defined in the Accounting 1 view of your Material Maser. 4) The account modifier is used in some posting keys like GBB, PRD or KON to subdivide the account determination. You can see in the activity "Define Account Grouping for Movement Types" the different account modifiers to be used in these posting keys. Once you have all this info, you can find the account in OBYC. 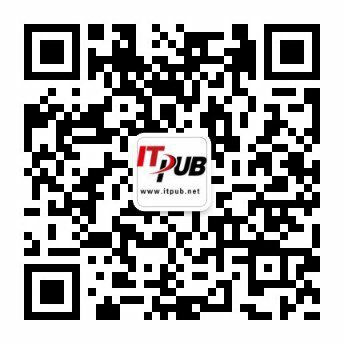 然后呢，在1000下面不是有两个工厂吗，美国公司听说一般都比较BT，有可能在相同的公司下面，不同的工厂，都有一些不同的设定。所以为了满足这种BT要求，SAP就让你自己选择，把PLANT也做为一个KEY值(这个PLANT对应的名字就是valuation grouping code—评估分组). 所以到这里就有三个KEY, clint + chart of account + plant.